Have you ever made hummus? Better yet, have you ever considered hummus as anything other than a yummy dip? I hadn’t done either until a few weeks ago. I was completely intimidated by what I perceived as a complex and messy process. And tahini? Is it just me, but doesn’t that sound kind of like a tropical island and not a fancy ingredient? Well then, I heard about this new product from Bush’s Beans that you can find at Walmart. 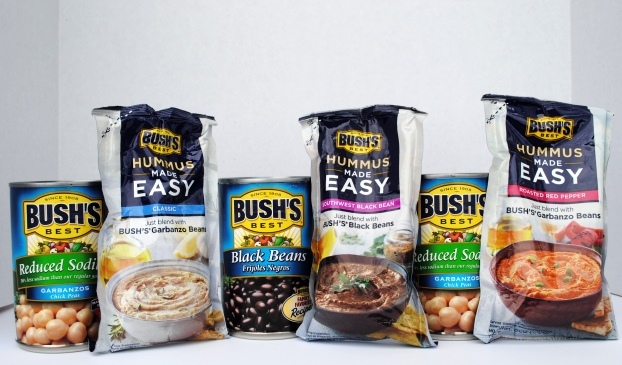 Hummus Made Easy is just that…you add the contents of a (drained) can of beans and the Hummus Made Easy pouch then blend. I just use my hand blender but others use a regular blender or food processor. Not only is it easy to make, the blend has no preservatives. I have more and more sensitivities to that kind of thing so no preservatives is important to me. #HummusMadeEasy comes in three varieties: Classic, Roasted Red Pepper, and Southwest Black Bean. Most people use black beans with the Southwest and Garbanzo (Chickpea) with the other two. Feel free to use any variety or combination you like. 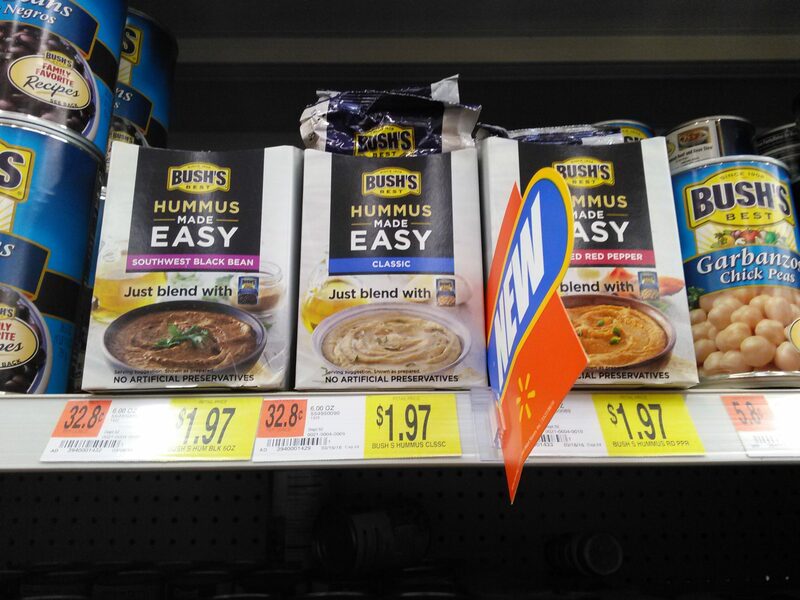 Hummus Made Easy is less than $2 at Walmart and the Bush’s canned beans are less than $1 per can. One recipe makes about two cups of hummus. That’s two cups of fresh hummus for less than $3 and less than five minutes of your time. I bought all three varieties and have enjoyed them immensely. I know I’m being compensated to talk about this product, but there is no compensation for my honest enthusiastic opinion. I would take this hummus over the more expensive brands any day. I really do love it. It’s also inspired me to figure out ways to use hummus in other ways besides “just” dip. That’s where today’s blog comes in. Yes, I made brownies out of hummus. I figured if more folks are liking Southwest or spicy chocolate (not my favorite flavor profile but many, many people love it), and if using black beans to make brownies a bit higher in protein and healthier overall is a popular thing, why not make Southwest Black Bean Hummus Brownies? I decided to call these brownie snack bars to make sure people realize they don’t taste like traditional brownies. They are truly “where sweet meets savory” in that they are a thick, fudge-like treat with a distinct southwest flavor with a strong hint of chocolate. I’d say they are drier than traditional fudge brownies but much more moist than cake brownies. You can play around with your own combinations of chocolate flavors and varieties (I do not recommend white chocolate). I used semi-sweet chocolate chips and Dutch chocolate brownie mix. 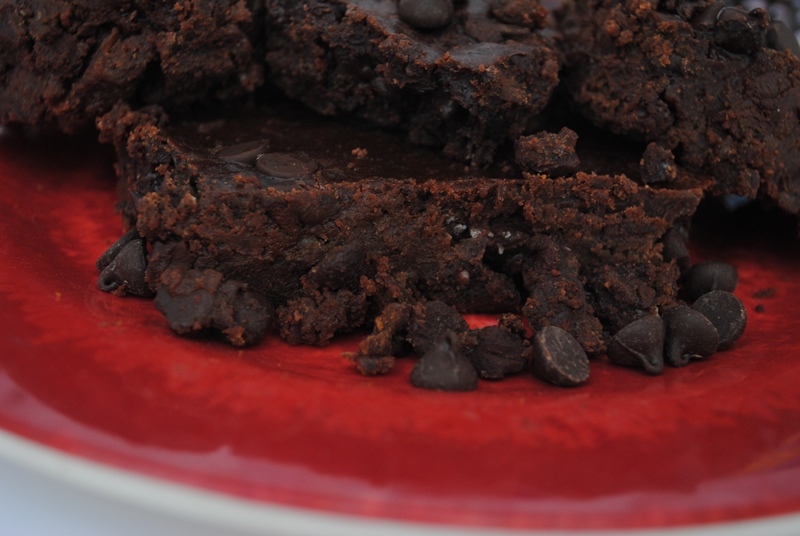 And what’s even more cool about this recipe is that, since I didn’t use eggs, you can eat this like a Southwest Black Bean Hummus Brownie dip if you don’t want to bake it! I decided to keep with the “hummus made easy” theme and made the brownies with the Bush’s mix and a brownie mix designed for an 8×8 pan. Why complicate things by making brownies from scratch? 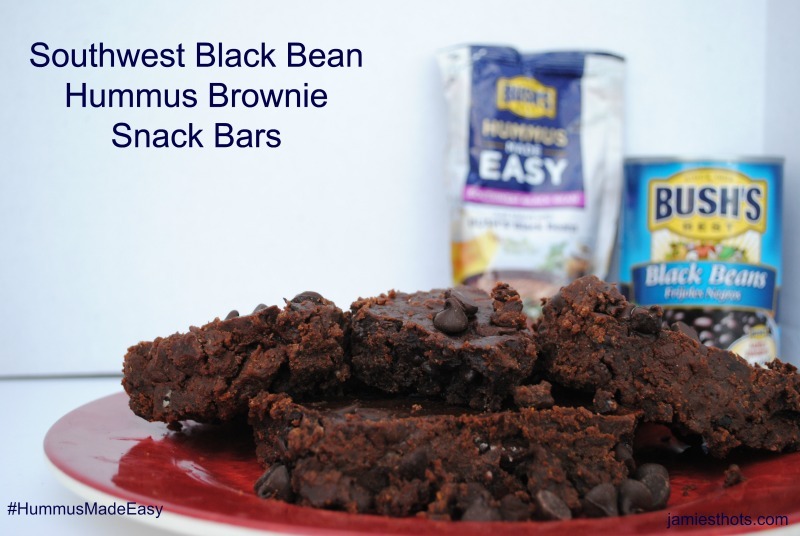 These Southwest Black Bean Hummus Brownie Snack Bars are quick and simple! Just blend the Hummus Made Easy mix with the Bush’s Black Beans, add brownie mix, a little bit of cinnamon and chocolate chips, then bake. You can leave it unbaked and eat it like a sweet and savory dip (no raw eggs!). OK, I’ve talked enough. Let’s get to that recipe. Let cool before cutting so they can fully set. I’ve already convinced quite a few people they need to try this product. What do you like to use hummus for? Check out the #HummusMadeEasy hashtag on social media to find more great ways you can make this simple hummus (or ways to dress it up!). You can also find more information and recipes on the Hummus Made Easy website. Which flavor are you trying first? These look great! They look so moist. 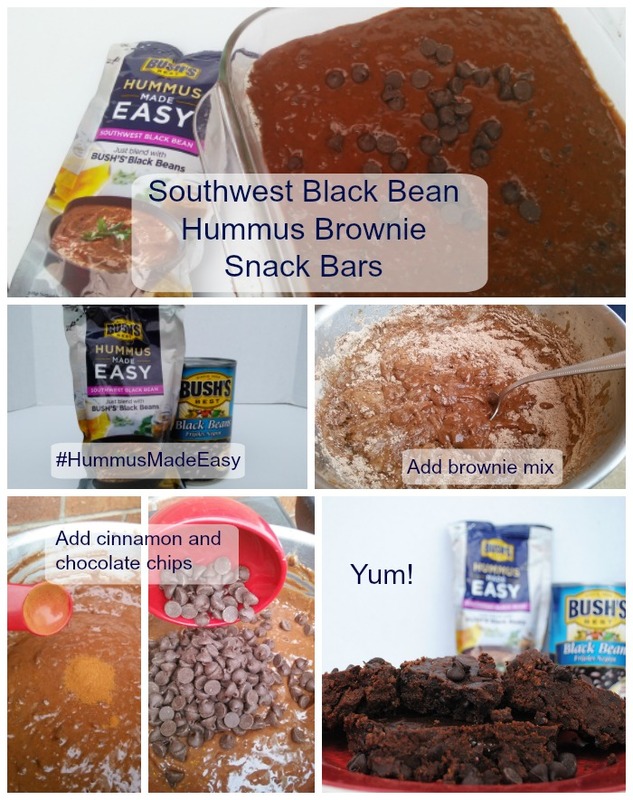 I’ve heard of black bean brownies, but never hummus brownies! Pinning this so I can give it a try soon. Mmmm, all the chocolatey goodness. They look scrumptious, Jamie! I’ve never thought of putting hummus in a baked good, but these look delicious! Pinning.